August 2014 | Florida Law Advisers, P.A. 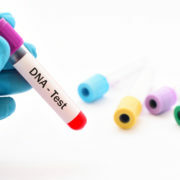 Under Florida family law, when a child is born to a married couple the husband is presumed to be the child’s biological father. See Florida Statute §382.013. However, it is very common for the husband to not be the child’s father. This can occur due to separation without divorce, adultery, or other reasons. Regardless, there may be a legal way to disestablish paternity and terminate father’s rights in Florida. For assistance with how to terminate father’s rights in Florida contact a child custody lawyer in Tampa. The procedures and advise will vary based on the specifics of each case. Generally, there are two ways to legally disestablish paternity and terminate father’s rights. The first is under Florida Rules of Civil Procedure. Rule 1.540 allows a father to obtain relief from a judgment, decree or order within 1 year of its entry. For instance, this Rule may be applicable to overturning a divorce decree requiring child support to be paid. The grounds for relief under Rule 1.540 include, mistake, fraud, misrepresentation, or newly discovered evidence which by due diligence could not have been previously discovered. Satisfying the conditions for relief under Rule 1.540 can be difficult without legal experience or training. Therefore, anyone seeking relief under Rule 1.540 should consider retaining a child custody lawyer in Tampa. Florida Statute 742.18 can also provide a means to terminate father’s rights and child support. Proceeding under this law can be difficult, it is strongly recommended to retain a Tampa child custody attorney to assist you. In order to obtain relief under this statute, the father must include all of the following in the petition. 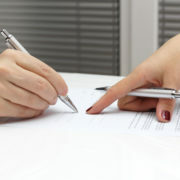 An affidavit stating that newly discovered evidence relating to the paternity of the child has come to the petitioner’s knowledge since the initial paternity determination or establishment of a child support obligation. Scientific tests administered within 90 days of the petition showing the petitioner is not the father of the child. Alternatively, the petitioner can allege access to the test was not available. It is important to note, including the above three elements in the petition is not enough to terminate father’s rights in Florida. The three elements above are necessary to file a valid petition, it does not guarantee success in the case. The petitioner must also prove 7 additional elements beyond a preponderance of the evidence in order to previal. For a full list of the seven elements that must be proven click here or contact a Tampa child custody attorney. Regardless of whether you need to terminate father’s rights, are a mother seeking to obtain child support, or a father trying to gain visitation rights, Florida Law Advisers can help. To schedule a free and confidential consultation with a Tampa child custody attorney call us today at 800 990 7763. We are available to take your call 24/7. If you are being harassed by creditors bankruptcy can provide an immediate answer for how to stop collection calls. Under bankruptcy law, as soon as a bankruptcy case is filed an automatic stay will go into effect. The stay requires creditors to stop collection calls and all collection activity against you immediately. Creditors and collection agencies will not be able to contact you, garnish your wages, or repossess your property while the automatic stay is in effect. If a creditor continues to attempt to collect a debt while the stay is in effect you may be able to sue that creditor. In most Chapter 7 cases, the automatic stay will remain in effect until your bankruptcy case is discharged. The automatic stay is available under both Chapter 7 and Chapter 13 bankruptcy. If you are unsure about which Chapter is right for you to stop collection calls contact a bankruptcy law firm in Tampa. The automatic stay will not just stop collection calls, it will also force a foreclosure auction to be cancelled. If there is a bankruptcy stay in place your mortgage lender will not be able to file a foreclosure law suit. If the lender already initiated a foreclosure lawsuit, the foreclosure action must be put on pause until the stay is no longer effect. Further, the automatic stay will even stop a foreclosure sale that has already been scheduled. The stay should remain in effect until either the bankruptcy is discharged or the lender obtains an order from bankruptcy court granting them relief from the stay. However, if the Trustee abandons the property it will no longer be considered property of the bankruptcy estate, and thus not subject to the stay. In most cases, a mortgage lender will file petitions for relief from the stay. Therefore, it is important you have a seasoned Tampa bankruptcy lawyer at your side to help prevent the lender from obtaining relief from the stay. The automatic stay does not stop collection calls from all creditors. Bankruptcy law provides for many exceptions from the automatic stay. A list of some of these exceptions are below, for a more complete list of exceptions See 11 USC §362 or contact a bankruptcy lawyer in Tampa. At Florida Law Advisers, P.A., our Tampa bankruptcy attorneys have years of experience helping people just like you to solve their financial problems and stop collection calls. We understand that these are very difficult times and are here to help. We have many options available that can help you successfully manage your debt and regain your financial health. The right course of action will depend on the unique circumstances of your case. To see which options may be available to you, contact us to today to schedule a free, confidential consultation with a Tampa bankruptcy lawyer at our firm. If you are overwhelmed with bills and need to wipe out debt you should talk to an attorney about bankruptcy. Chapter 7 or Chapter 13 can be an effective tool to wipe out debt in bankruptcy. If a debt is discharged in bankruptcy the borrower (debtor) will be released from personal liability on the debt. Further, the discharge prohibits a creditor from taking any collection action against the borrower. However, there are many nuances of bankruptcy law which can prevent a discharge of certain debts. Therefore, it is important to seek counsel from a bankruptcy law firm in Tampa before taking action. There may be potential pitfalls to bankruptcy you would not be aware of without competent legal counsel. Bankruptcy law provides for different rules of discharge in Chapter 13 and Chapter 7 bankruptcy to wipe out debt. 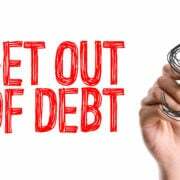 This article will discuss using a discharge of debts in a Chapter 7 bankruptcy to wipe out debt. Chapter 7 is a liquidation bankruptcy, which means a debtor may be required to sell certain assets as a condition of the bankruptcy. On the other hand, Chapter 13 is a restructuring bankruptcy, instead of selling assets to pay creditors you create a payment plan to pay back the amount owed. For more information on Chapter 13 bankruptcy click here or call us to speak with a bankruptcy attorney in Tampa. Failing to preserve documentation evidencing the debtor’s financial condition or transactions. However, if the lack of preservation was justified under the circumstances the discharge will not be denied. Knowingly and fraudulently making a false oath or presenting/ using a false claim. Personal injury lawsuits stemming from driving under the influence of drugs or alcohol. If you are having a difficult time meeting your financial obligations bankruptcy may provide some relief. Bankruptcy is intended to alleviate financial burden and give borrowers a fresh start. It is not necessary to hire an attorney to file bankruptcy on your behalf; however, it is recommended that you do seek the aid of a licensed Tampa bankruptcy attorney before taking any action. The laws and bankruptcy process in Florida can be difficult to navigate without a bankruptcy law firm at your side. If you need assistance with the bankruptcy process in Florida for a Chapter 7 or Chapter 13 you can contact Florida Law Advisers for a free consultation with a bankruptcy attorney in Tampa. The Federal Rules of Bankruptcy Procedure generally dictate not just the bankruptcy process in Florida but also the procedure for bankruptcy throughout the United States. The Rules are intended to, “secure the just, speedy, and inexpensive determination of every case and proceeding.” The rules are published by the U.S. Supreme Court after consideration by the Judicial Conference of the United States Courts and its committees. Congress has the authority to reject the proposed rules, but rarely use its power. If Congress does not take any action regarding the proposed rules, they will become effective at the end of the year. The first step is usually to determine where the case needs to be filed. The bankruptcy process in Florida will vary slightly between each division. Each division will have its will have its own set of rules applicants need to be aware of for the bankruptcy process in Florida. 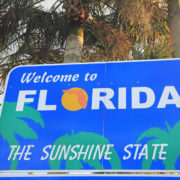 Borrowers residing in the Tampa Bay area will likely need to file their bankruptcy petitions in the United States Bankruptcy Court for the Middle District of Florida. You can find the rules for the Middle District of Florida by clicking here. The local rules for the Middle District will be very helpful in navigating a case through the bankruptcy process in Florida. Please note, the Court is consistently updating the bankruptcy process in Florida. Therefore, you should make sure you are reviewing the court’s most recent rules for the bankruptcy process in Florida. A bankruptcy law firm in Tampa should be able to provide you with a copy of the most recent rules on request. At Florida Law Advisers, we understand that filing for bankruptcy can be a very confusing and intimidating process. When you hire Florida Law Advisers, P.A., you get experienced an experienced Tampa bankruptcy lawyer by your side throughout the bankruptcy process in Florida. We will help ensure your rights are protected, keep you well-informed every step of the way, and help you receive the utmost protection bankruptcy can offer. To schedule a free consultation with a Tampa bankruptcy lawyer at our firm call, email, or fill out an online inquiry on our website today.